When you hear the word “Teachers” what is the first thing that comes to mind? Maybe it was a favorite teacher that you had while in school. Maybe it was the idea of a person that holds and imparts a specific type of knowledge. Or a person who has been given authority to teach because of the position they are in. Whatever came to mind you probably didn’t think of someone who is affected by disability. That is because this is counter cultural to most of our worldviews. But the beauty of the Gospel is that God chooses what the world views as weak to do significant things, things like teaching others. My Friends, My Teachers is a truly unique book. It is a six-week small group devotional book that chronicles six unique stories about how encounters with disability changed people’s lives. 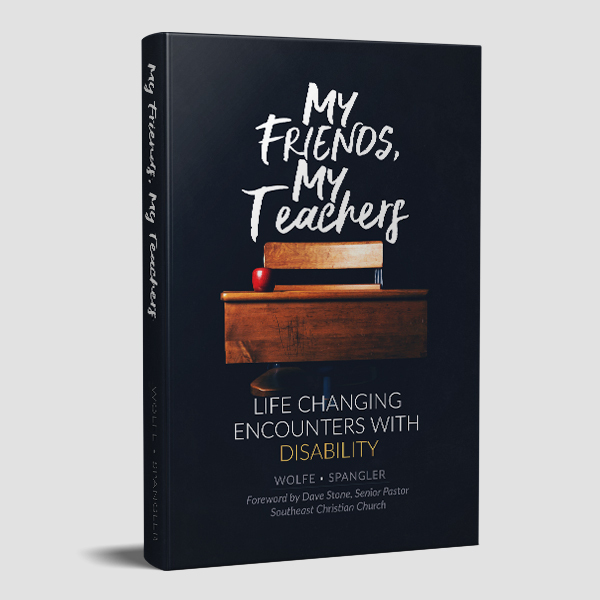 My Friends, My Teachers is a powerful book that could change your life too, if you are open to allowing God to teach you in ways you may have never considered before.